for $345,700 with 3 bedrooms and 2 full baths. 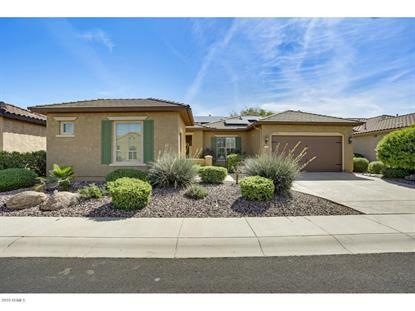 This 2,092 square foot home was built in 2008 on a lot size of 7700.00 Sqft. BEAUTIFUL DESTINY HOME with 3 CAR GARAGE and SOLAR! This model's open concept, split floor plan is highly sought after. Oversized great room w/ surround sound, great for entertaining, The eat in kitchen features upgraded maple staggered cabinets w/ pull out shelving , custom backsplash, glass cooktop, SSappliances, Huge kitchen island and breakfast bar Master Suite w/ bay window dual sinks, make-up vanity, Sep/ soaking tub & step in shower, large walk-in closet. Generous 2nd bedroom w/ king murphy bed, remodeled guest bath, Den has been enclosed for optional additional bedroom. Enjoy relaxing on your back patio with fabulous custom water feature overlooking your fenced in low maintainence beautifully landscped backyard. This is a must see! !